The very presence of Yahoo! Site Builder is enough to please me: you get a free, easy-to-download design program, an easy way of publishing your site, and easy ways of integrating an online store into your recently-designed website. What else can you really ask for? Setting up a shop in the 1800s was tough – you needed timber, windows, and probably a fireplace for the winter. In this day and age, we have Yahoo! Site Builder. I think we’ve progressed. The Yahoo! Site Builder is the kind of thing you’ll want to either bookmark or add to your mental list of online resources so you’ll remember that it’s at your disposal. If designing a web site used to be difficult, it certainly isn’t these days. And while it will take a little creativity and skill to turn Yahoo’s templates into professionally-styled website, you should never feel like starting your own online business is really all that tough. Ever. But like most online products and services, there are a few kinks and issues that we’ll have to wrestle with. Stick with us and this Yahoo! Site Builder review and you might just learn that these kinks aren’t enough to deter you from starting your own online shop in about an hour. And yes, things move just that fast these days. Above: From maybe two minutes from downloading to using the program, I was already designing a new site. Truthfully, what excites me about Yahoo! Site Builder (other than the required exclamation point after “Yahoo,” of course) isn’t anything that really reinvents the wheel. Putting together a website using Yahoo’s free downloadable software (which is easy to procure, by the way) is just as easy as putting together a website in an online software like Weebly. You choose from templates, you upload pictures, you enter in text. People have been doing that since the Internet Stone Age. But what works out so well is Yahoo’s eagerness to please. Yahoo, after all, offers online stores that can easily be created and hosted within just a day or two, provided you know what kind of store you want to build. And this short timeline applies whether you’re an expert HTML author or someone who just wants to sell recipes online: it’s just…easy. Yahoo works to make it that way by integrating its sitebuilder with the rest of its small business services. Having all of the above can put you out around ten bucks a month, depending on your individual pricing plan, but if that’s all it costs you to host your online shop, then that should be considered nothing less than a coup for your small business. Setting up a shop on your Yahoo! Site Builder program isn’t a major challenge. Using a third party like PayPal should enable you to procure a solid bunch of HTML codes that you can simple copy and paste right into areas on your Yahoo site. Once you’re ready to roll, you simply export that Yahoo site to your Yahoo account and you’ll be good to publish. That is, of course, as long as you get everything else from Yahoo. And therein lies a complaint. There’s really not much to complain about when it comes to Yahoo! Site Builder except that it makes you publish your site to another Yahoo! service – and if you want to circumvent this process, you’ll have to be a more tech-literate user than I. This isn’t necessarily the worst thing in the world. Some people can use Yahoo’s small business services to create an online shop and perform just fine. Even if your long-term goals include hosting your own online shop, it can’t hurt to start somewhere. It’s a great overall “foot-in-the-door” program that Yahoo offers. You should definitely consider it. But if you’ve already got other solutions handy, then there’s a chance Yahoo! Site Builder isn’t the right sitebuilder for you. But if you’ve already paid for it and need to get your money’s worth out of it, you can definitely look into ways of publishing your third-party designs and integrations via the Yahoo! Site Builder. Hey, it’s a minor complaint, and that’s a good thing. As Yahoo tailors its web publishing services around creating a web site you can sell from, its individual functions have their advantages and disadvantages. For example, if you’re looking to create a blog, paying for all of Yahoo’s site design services doesn’t make any sense. Other sites like Blogger and WordPress can offer you all you need to publish a blog without charging you for it. Similarly, album and portfolio sites often work better with other vendors. Yahoo! Site Builder might work for some specific purposes, but truly optimizing your web presence probably means going with other software and online providers if you want to really think outside the box. Yahoo! Site Builder is a great product and service – definitely something you’ll want to look into if you’ve never launched an online business before. Setting it up is simple, as is integrating your online store and accepting credit card orders. If you’re the kind of person who feels overwhelmed at the prospect of creating as complicated as an online store, Yahoo! 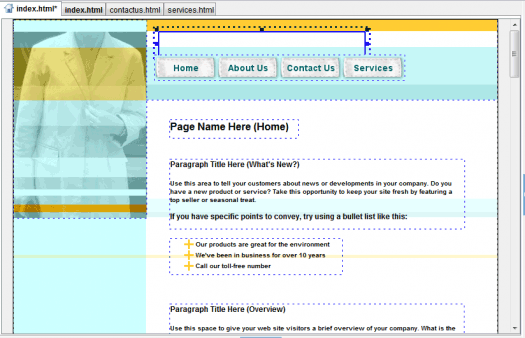 Site Builder is exactly the type of software you need to become acquainted with. Things aren’t as difficult as they might seem. At the same time, however, more advanced users will probably graduate from Yahoo! Site Builder and embrace other ways of getting their business established online. Yahoo! Site Builder makes for great training wheels and, heck, if the business works, there’s no reason to fix what ain’t broken. But not everyone will think Yahoo! Site Builder is right for them. If you’re a beginner to this web design thing, however, that’s not really your concern. You should be excited that software like Yahoo! Site Builder even exists – and is as cheap and easy to acquire as it is. I don’t mind living in a world where Yahoo! Site Builder exists. Why should you? I think Web.com or SetMySite.com are better options. Yahoo’s site builder is just way to clanky. You end up with a more modern looking Geocities website. Anyone remember GeoCities? Haha! But all joking aside, don’t waste your time with Yahoo. Ah, Geocities. Those were the days.